CarGurus has 245 nationwide Elantra Touring listings starting at $2,900. The 2012 Hyundai Elantra Touring hatchback continues to offer ample cargo space, a smooth ride and a comfortable interior, as well as a good overall value. Currently at the end of its first generation, the Elantra Touring looks outdated, especially when compared to some of its sportier competitors, and receives only minor updating for 2012. Popular with buyers who seek a well-equipped, budget-oriented hatchback with plenty of room for gear, the 5-door, 5-passenger Elantra Touring will disappear from showrooms after 2012, to be replaced in Hyundai's lineup by the new Elantra GT hatchback. Despite its somewhat dated styling and relatively unexciting cabin, the Elantra Touring handles well and offers great interior functionality. Although the 2013 Elantra GT excels in styling and features, it doesn't offer as much cargo space as the Touring, so buyers who require up to 65 cubic feet of cargo space as well as an affordable, comfortable hatchback might want to grab the Touring before it rides off into the sunset. Now at the end of its first generation and soon to disappear from showrooms, the 2012 Hyunda Elantra Touring remains a jack of all trades but not necessarily a master of any. It offers good fuel economy, a spacious interior and class-leading cargo space, thanks to its elongated hatchback body style. Its exterior styling remains clean and attractive, although it doesn't match the swooping eye-catching design of the Elantra sedan, which received a makeover in 2011. Those updates did not transfer to the Elantra Touring, which retains the previous generation's styling and features. One the plus side, the Elantra Touring makes a good buy for the budget-minded and was named the Best Car for the Money in 2011 by U.S. News and World Report. The Elantra Touring competes in the same hatchback/station wagon class occupied by such vehicles as the Volkswagen Jetta Sportwagen, the Subaru Outback and the Honda Crosstour, as well as more upscale entries like the Acura TSX Sport Wagon, the BMW 3 Series Wagon and the Cadillac CTS Sport Wagon. The Elantra Touring doesn't quite match the pedigree of some of those brands, but it benefits from being an affordable alternative to a more upscale wagon or an SUV, while offering a cabin roomy enough for 5 and matching its competitors in handling and ride comfort. 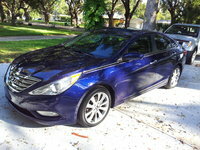 Hyundai offers the 2012 Elantra Touring in GLS and SE trim levels. The two trims share the same engine, but the SE adds such features as a sport-tuned suspension, a B&M Racing manual sport shifter, 17-inch alloy wheels and roof rails, as well as a more upscale interior with leather upholstery and heated front seats. Hyundai adds a few new features for 2012, including an optional roadside assistance kit and new Volcanic Red and Dove White exterior colors. In addition, the automaker renamed the Preferred Package, previously known as the Popular Equipment Package, and adds 16-inch alloy wheels to the package mix. Outside, the Elantra Touring displays a somewhat sedate design, especially when compared to the Elantra sedan. 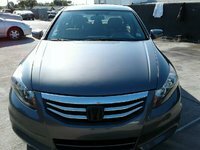 Its lines aren't as sculpted and flowing as the sedan's, though it still has a crisp look, with an attractive front end and moderate wheel wells. The GLS has a fairly stripped-down exterior appearance, although heated side mirrors come standard, while the SE adds a black chrome grille, front foglights, integrated turn signals in the side mirrors and solar glass. Power for the front-wheel-drive Elantra Touring comes from a 2.0-liter 4-cylinder engine generating 138 hp and 136 lb-ft of torque. It's paired with either a 5-speed manual transmission, which comes standard in the GLS, or an optional 4-speed automatic. The SE gets the B&M Racing manual sport shifter in place of the base manual transmission as standard equipment, while the optional 4-speed automatic remains the same. The Touring makes the 0-60 jaunt in just under 9 seconds and manages fairly respectable fuel economy numbers of 23 mpg city/31 highway with the manual transmissions and 23/30 with the automatic. Testers agree that the Elantra Touring won't break any land speed records, and most would like to see a larger powerplant under the hood, but they also note that the engine provides good performance. However, reviewers say the engine struggles a bit under hard acceleration or when the vehicle is fully loaded. The manual transmissions enable drivers to get a bit more punch from the engine. A majority of reviewers find the Elantra Touring's smooth, forgiving ride better than expected for a budget wagon, with a mildly sporty feel and competence over the road. However, some consider the ride too floaty and report noticeable body lean in corners. A tight turning ratio makes the Touring feel agile at times, especially around the city, although the electronic power steering can feel light on the open road. Some critics say the seats could be more supportive, while others would like to see a slightly softer ride. On the plus side, the cabin remains relatively quiet except over particularly harsh roads. The Elantra Touring rides on a 4-wheel independent suspension with MacPherson struts in the front and a multi-link configuration in the rear, complemented by front and rear stabilizer bars. Though the SE sits on a somewhat firmer suspension, it doesn't feel too harsh over road bumps and imperfections. Standard all-season tires provide a sure grip in corners and better-than-average traction, and the brakes provide good stopping power, with no noticeable pedal squish. The GLS gets 15-inch steel wheels, while the SE rides on 17-inch alloy wheels with chrome inserts. While its cabin might seem a little simplistic and outdated when compared to those of some competitive vehicles, the Elantra Touring offers a roomy, pleasing interior with good build quality, a strong list of standard features for the SE trim and cargo space that rivals the capacity of many crossover vehicles and compact SUVs. Instrument controls and gauges are well laid out and easy to read, and cabin materials are generally on the plush side, with minimal plasticky hard surfaces. Passengers will find plenty of legroom and headroom in both the first and second rows, and most reviewers say the seats are comfortable enough for long trips. The driver's seat sits a little higher than in some competitive vehicles, ensuring good visibility out the front and rear. The GLS trim gets front bucket seats and standard cloth upholstery, while the SE upgrades to leather upholstery and heated front seats, as well as an 8-way power-adjustable driver's seat and a leather-wrapped steering wheel and shift knob. Both trims get air conditioning, remote keyless entry, a center console with storage and power windows and door locks. Both also receive a 6-speaker AM/FM audio system with a CD/MP3 player, SiriusXM satellite radio and USB and auxiliary input jacks. In addition to leather features and heated front seats, the SE trim adds a power tilt/slide sunroof, a tilt/telescopic steering wheel, cruise control, a trip computer and steering-wheel-mounted audio controls. Hyundai offers Bluetooth as an option for both trims. Numerous storage spaces are located throughout the Elantra Touring's cabin, including cupholders in the rear-seat center armrest. Although the rear seats don't fold flat, they do split 60/40 and fold down. With the rear seatbacks up, the Elantra Touring offers 24.3 cubic feet of cargo space behind the rear seats. That expands to an impressive 65.3 cubic feet with the rear seats folded down. Hyundai equips the Elantra Touring with all the expected safety features, including 6 airbags, electronic stability control with traction control and 4-wheel antilock brakes with electronic brakeforce distribution. A headlight welcome function, activated when the doors are unlocked with the keyless remote, helps with security issues. The Elantra Touring has not been safety tested by the IIHS or the NHTSA. Very few Elantra Touring drivers have anything negative to say about their vehicles, and they generally agree with reviewers about the hatchback's many positives. 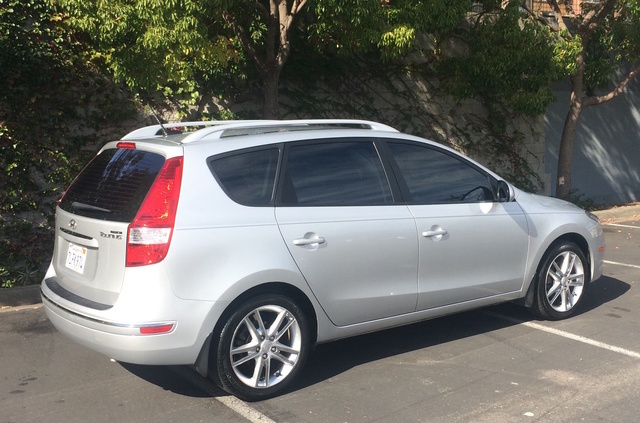 Owners say they like the Touring's ample cargo space, smooth ride, comfortable interior and overall good value. They also like its sleek exterior styling and no-nonsense interior. The Touring's performance is adequate but not impressive, owners say, and some say they're not getting expected fuel economy numbers out of their vehicles. However, owners say they're overall pleased with the Elantra Touring as a capable daily commuter. What's your take on the 2012 Hyundai Elantra Touring? Espomo What about all the tire problems!.!?? 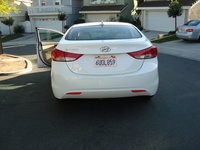 Have you driven a 2012 Hyundai Elantra Touring? Does Anyone Have A Problem With The Trip Computer Display Fading?